I rarely participate in photo contests anymore because I have had little time to break the camera out. This trip has given me the opportunity to dust the rust on my photography off and then some. 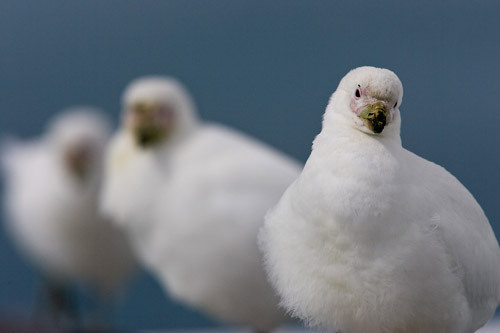 Before leaving, the theme for S2Ki’s October photo contest was announced: Our Feathered Friends. I had to enter. I wanted to challenge myself by not shooting a penguin in a beautiful landscape, but a bird in flight that could compete against anything from anywhere in the world. It remained in the top three. But it was another of those shots people wouldn’t understand without seeing these birds in person. 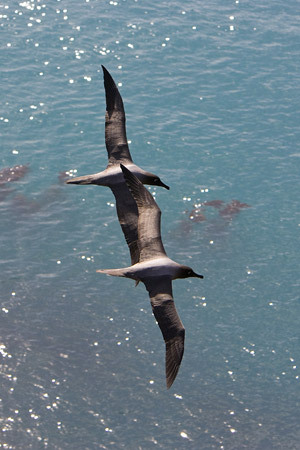 I decided nobody would understand what Skuas or Sheath Bills were either. I should clarify “understand” as I mean it to be something a picture can tell – not something I can tell with words. 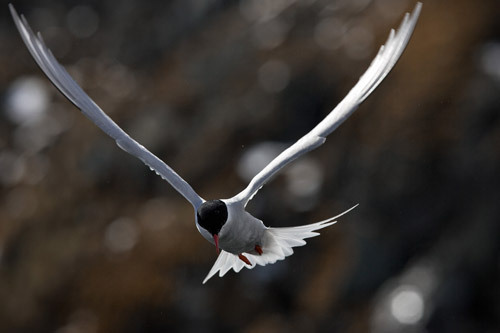 Anyway, I decided to enter this Antarctic Tern into the photo contest. I shot this guy from a moving Zodiac with my 300mm lens. There is absolutely zero Photoshop work done to it aside from a RAW conversion. I’m still shocked I got this shot. These guys skoot around like humming birds and to add the zodiac to the equation makes me super lucky to have pulled it off. If I win the contest, I get to choose November’s theme and judge the contest. Nothing special – no prizes or anything like that. Next Post Sea Day – do we need seat belts on this ride? All of these pics are awesome! I just saw the post with all of the penguins and I am just amazed at how many of them there are and how comfortable they are around people! Will they let you pet them or will they peck at you? Is anyone taking video footage of what you’re seeing, also? Hey Alex, if you can do me a favor, can you take a photo or two of your cabin on the boat itself??? Thanks bud! 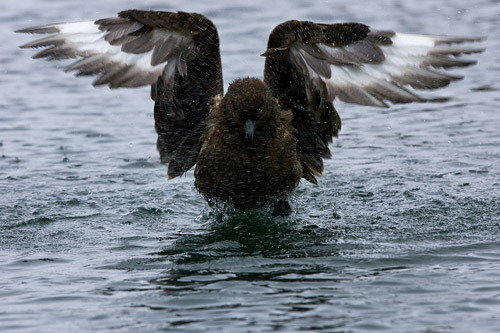 The skua bathing is awesome. Really nice work. Thanks for posting your experiences on the NG Endeavour. I’m scheduled to sail on the Endeavour’s next cruise on Nov 2 so it’s been wonderful to learn what the experience is like, both from the photographic aspect and the seafaring aspect. Dionne – yes, there is a DVD being made of the trip. I think I’ll have it with me when I get home. Dave – yeah, I’ll use the point and shoot and get some shots from around the ship. stilllifeinbuenosaires – thanks! I know they’re your favorite. Henry – you can’t have a better staff on board for your trip. The Heacox’s, Flip Nicklin, the Swenson’s, Brent Houston, Robert Alexander, Kendra Nielsen, and Lisa Trotter are all incredible. If you’re a photographer, you’ll learn tons if you take advantage of being around all this talent. You’ve also got about 17 people staying on and they’re all good people too. I was supposed to stay on myself, but it was too long to be away from the office. Hey there Alex. Finally managing to catch up to you…12:31 am 11/1…. You wish you were staying for the ride now? ?